I completed this goal through AP math courses in high school. I received credit for both AP Calculus AB & BC as well as AP Statistics. During these classes, my problem solving and critical thinking skills were developed and I was able to apply the concepts learned in these classes to my science classes. These AP math courses gave me a strong mathematical foundation and prepared me for college level classes. 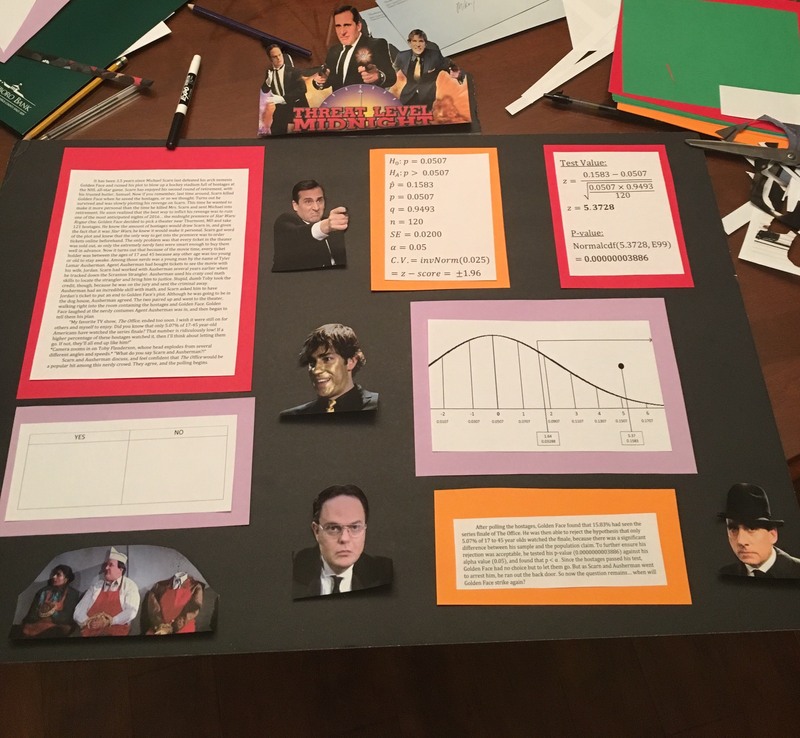 Below is my final project for AP Statistics. As a current science major and hopeful future medical student, math and problem solving are extremely important skills. In my current classes, I use calculus and statistics to do things like analyze the quantitative behavior of chemicals in a reaction or calculate the voltage changes in a neuronal membrane during the propagation of an action potential. Even in my research projects with my advisor, I’ve used math and problem solving to prepare solutions and calculate statistical differences in our data sets. Math is definitely one of the most useful skill to obtain as a scientist and I hope to take more math courses in my time at Longwood. Considering all the applications of my current level of math in my biology, chemistry, and neuroscience classes, I can only imagine what more I can discover and achieve with a higher level of math education.